Getting a visa can be one of the more time consuming and complicated aspects of travelling. Rules often change depending on where you want to go, how you get there and where you come from. Turning to the internet for help often washes up outdated, incomplete or – worst of all – wrong information what makes the whole process even more frustrating. Figuring out how to apply for a visa to Vietnam wasn’t any different. The Google search results were flooded with shady-looking agency websites offering to take care of the entire visa process for cash. We were lost in the visa jungle and had no idea how to get out. 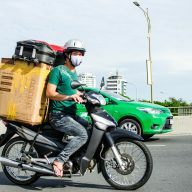 It was a coincidence that just at this time, we were approached by Vietnam-Visa.com, who heard of our plans to visit Vietnam for a couple of months. They were nice enough to answer all our questions and made our visa experience a breeze. With all the documents in place, I am ready to board my plane to Saigon. Depending on your nationality, you might be qualified for a visa exemption. This means that you do not need any visa prior to entering Vietnam. If you qualify and plan to stay only a week or two this is definitely the best option for you. Nationals from ASEAN countries can usually stay 30 days without a visa while nationals from many EU countries like the UK, Germany or Sweden only get 15 days of visa exemption. The only thing you need to do is book your flights and you are good to go but don’t forget to print out your booking confirmation for the return flight (within the period of your visa exemption) to show at the Immigration in Vietnam. If you do not qualify for a visa exemption or if you want to stay in Vietnam for a longer time, then you need to apply for a visa. 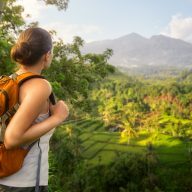 Depending on your travel plans, you can choose between either a single or multiple entry tourist visa with a validity of one or three months. 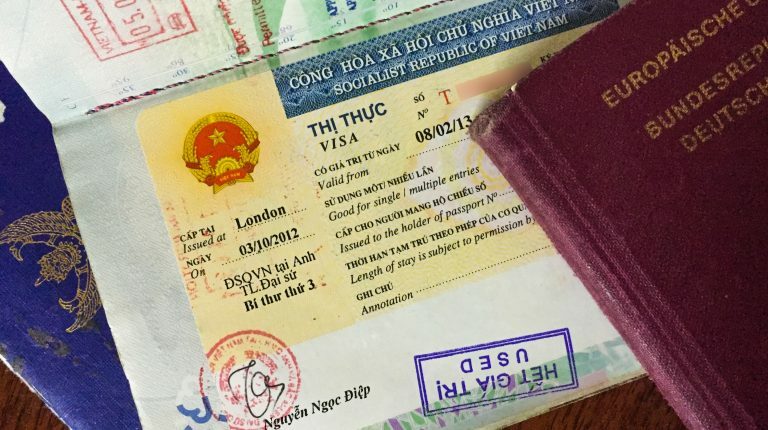 We chose the 3 months single entry visa as we were planning to focus primarily on Vietnam and don’t want to travel to any other countries during that time. If you are travelling to Vietnam by land, sea or would like to obtain the visa before arriving to the country, you can apply at one of the Vietnamese embassies in your country. The process takes 2-5 working days and you will be asked to send the passport by post, or apply in person. If you are planning to fly then the easiest and quickest option is applying online for Visa on Arrival. From 2017 citizens of 40 countries can apply for a 1-month single entry to Vietnam online. It costs $25 and takes 3 working day. 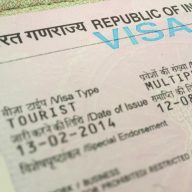 You can apply for your e-visa here. At the end of your application you will be provided with a code that you will need to use in order to print out the visa. Neither of us have tried this way of applying and we don’t know how swift the process is. Before you can enter Vietnam and apply for Visa on Arrival, you will need to buy an approval letter. This allows you to enter the country without a visa and confirms that you will be getting the visa once you are in Vietnam. This is important because airlines won’t let you board a plane if you can’t proof that you are allowed to enter the destined country. There are many agencies you can use to acquire the approval letter for Visa on Arrival in Vietnam. 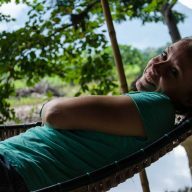 We chose to go with Vietnam-Visa.com in the end and had a great experience. They usually process your approval letter in 2 working days, but there are also options available for those who need faster processing. All you need to do is to fill out a very simple form and then pay the fee via PayPal or Credit Card. The prices vary from $21 to $34 (+ $25 stamping fee at the airport), depending on the type of visa, number of people applying and if you choose extra services. We chose the cheapest option and received our approval letters in 2 working days like promised. There are cheaper options on the market. We shopped around a bit and thought that other agencies didn’t look reliable and safe. The only thing we didn’t know or like was the fact that our names, details of our passports and dates of birth were on the letters along with ten other applicants. We were a little concerned about our privacy so we messaged our contact at Vietnam-Visa.com and found out that this is standard procedure at the Vietnam Immigration Department that issues the approval letters. It is however possible to get a confidential letter that only has your information on it, if you let Vietnam-Visa.com know after submitting your form online. Along with your approval letter, Vietnam-Visa.com sends you an application form for the visa stamp via email. Fill it out and attach a passport size photo (6x4cm) with white background. When you arrive at the airport in Vietnam, look for signs that say “Visa on Arrival” or “Landing Visa”. Usually the counters are situated just next to the Immigration and are hard to miss. Queue up, prepare your documents (passport, approval letter and application form) and wait until your visa is processed. When you hear an immigration officer calling your name, you go to the window, pay the $25 stamping fee and get your passport and visa back. We arrived at Ho Chi Minh City, which is infamous for its over-crowded airport and long queues at immigration stands. 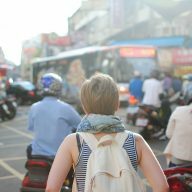 If you don’t want to risk spending a long time at the counter after flying for several hours, Vietnam-Visa.com offers a fast track option to get you through Immigration more quickly. We only spend around 15 minutes at the Landing Visa counter. We decided not to use the fast track and were very happy to find only a handful of people at the Visa on Arrival counter at 9PM. The whole process took maybe 15 minutes in total. My friend Jeff, who arrived only about two hours earlier, was not so lucky. He had to wait almost an hour. So sometimes it might be worth paying a bit extra to get the fast track. 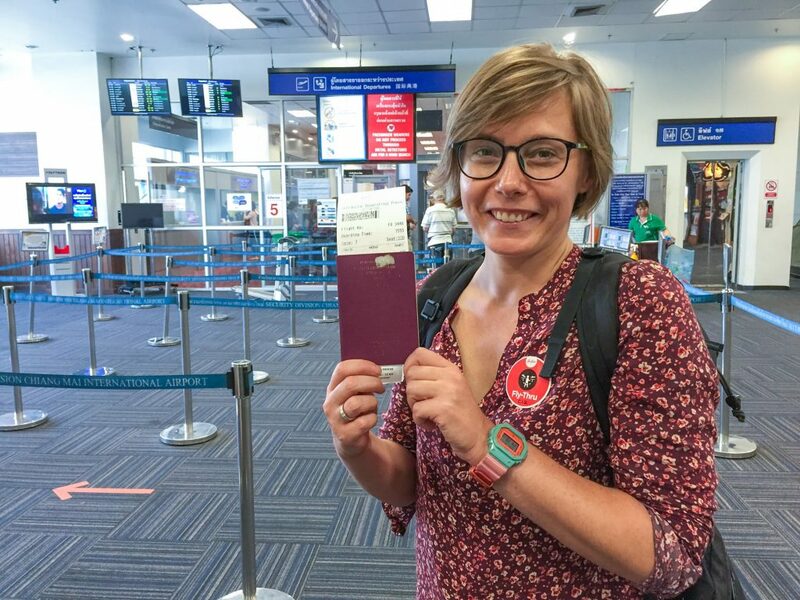 Overall, the entire process of applying for a Visa on Arrival to Vietnam was surprisingly quick and easy. 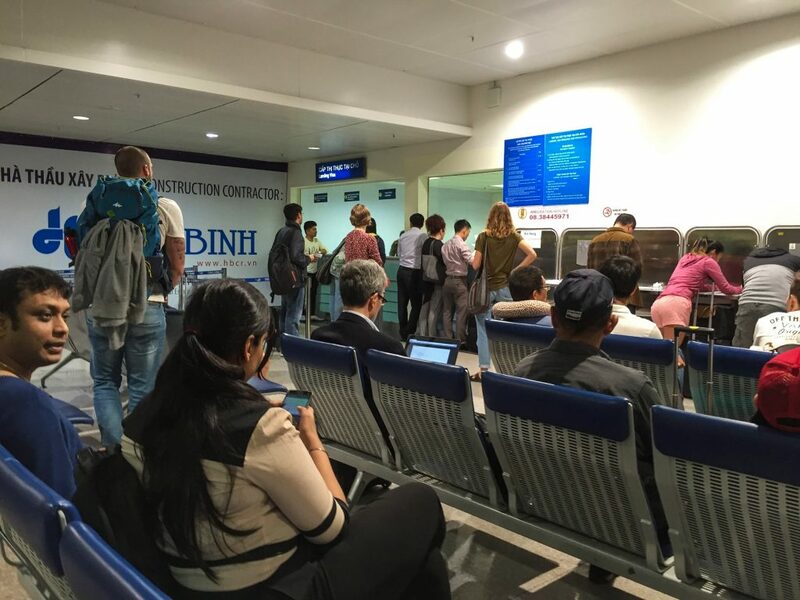 Applying online instead of queueing up at the embassy was very convenient and the people at Vietnam-Visa.com were very helpful with providing information about current regulations and the entire procedure which reassured us that we were following the correct steps.